Due to the unrest in Kerala the Exams scheduled from 5th Jan to 10th Jan is postponed in Kerala state. The revised schedule will be intimated soon in official website and SMS. All the Eligible Candidates Who filled the Online Application form will face the Exam. Soon the Exam will be Conducted & the Date of Examination will be Announce Soon on the Official Website. More Details about the Exam is provided Below. 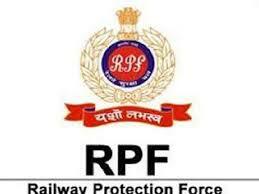 Indian Railways has recently announce about the Recruitment 8619 Posts for Railway Protection Force Female and Male Constable. Many Candidates filled there Online Application form for these Posts. The Process of Submitting the Application form is Conducted Online From the Date 01/06/2018 and Conducted 30/06/2018. Here the Candidates Can Check the Details of Recruitment from the Below Provided Link. The question paper will consist of 35 questions on General Intelligence & Reasoning, 35 questionson Arithmetic and 50 questions on General Awareness. The Exam will be Conducted Soon for the above Vacant Post. Candidates must bring the Call Letter at the time of written test. Call letter will be sent by post as well As Can Be Downloaded Online. No one will be allowed to appear in the written examination without a call letter. So we advise all the Candidates to be in touch with the Official website of RRB to get the Information about the Admit Card and Exam. We will also provide the Details About Admit Card on this Page. There will also be a negative marking of 1/3 Marks. 1 mark will be deducted for each incorrect answer. Note : Applicants who wish to have the question paper in a particular language may indicate so in the Application Form. Language, once chosen cannot be changed under any circumstance. Note : “Candidate must obtain at least 35% Marks (30% in the case of SC and ST candidates) in the Written Examination for being considered for other Test/Tests”. General Awareness: Questions will be aimed at testing the candidate’s general awareness of the environment around him and its application to society; to test knowledge of current events and such matters of everyday observations and experiences as maybe expected of any educated person. The test will also include questions relating to Indian History, Art & Culture, Geography, Economics,General Polity, Indian Constitution, Sports, General etc. Arithmetic: Questions on Number systems, whole numbers, decimal and fractions and relationship between numbers, fundamental arithmetical operations, percentages, ratio and proportion, averages, interest, profit and loss, discount, use of table and graphs, mensuration, time and distances, ratio and proportion etc. General Intelligence & Reasoning: Questions on analogies, similarities and difference, spatial visualization, special orientation, problem solving analysis, judgement, decision making, visual memory, discriminating observation, relationship concepts, arithmetical reasoning, verbal and figure classification, arithmetic number series, non-verbal series, coding and decoding, statement conclusion, syllogistic reasoning etc. Note: PET/PMT is qualifying in nature. No marks are to be awarded. The candidates must produce all original documents in support of their educational qualification, age, SC/ST/OBC status, where applicable (on the format prescribed in the advertisement), domicile and any other extra curricular activities including NCC at the time of Viva-Voce and documents verification.